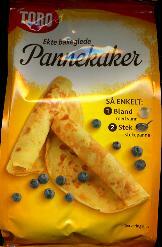 Toro Pannekaker -- Pancake Mix 208g 7oz. - Mixes - The Dutch Shop LLC your store for Dutch groceries. 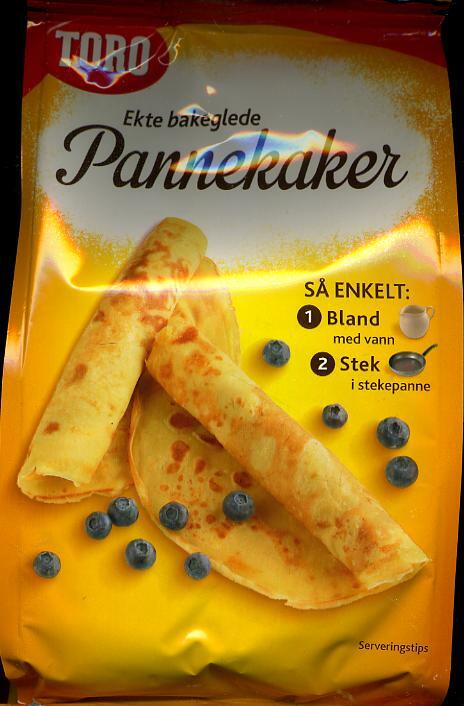 Toro Pannekaker -- Pancake Mix 208g 7oz. Toro Pannekaker -- Pancake Mix Ingredients: Wheat flour, sugar, skim milk powder, egg, vegetable fat, emulsifier, salt, lactose, beta carotene and vanilla. To prepare: Empty contents into bowl. Add 1.5 cups of cold water . Stir until even consistency. Notify me of updates to Toro Pannekaker -- Pancake Mix 208g 7oz.